One of the great joys of summertime grilling, is having access to fresh fruit and vegetables. How do you make any fruit or vegetable go from good to great? Have them kiss some hot grates between the market and the dinner table. I love salsa and I like it even more when I grill the ingredients. No matter your "salsa mix,” consider the grill to add new flavor and texture. 1. 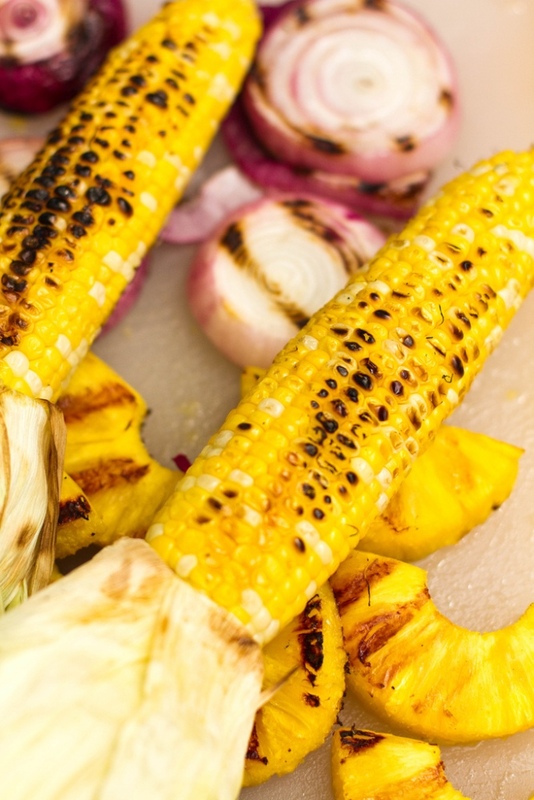 Over a direct medium fire, grill the pineapple, tomatoes, corn and red onion until tender, approximately 8-10 minutes. Remove from the grill and allow to cool. 2. Chop the red onion, tomatoes and pineapple and remove the corn kernels from the cob. Place all in a large bowl and mix with the black beans. Add the olive oil, cumin and red pepper flakes. Stir again and serve.